We talk with Mike, his company, and the years before and after the Commodore bankruptcy. 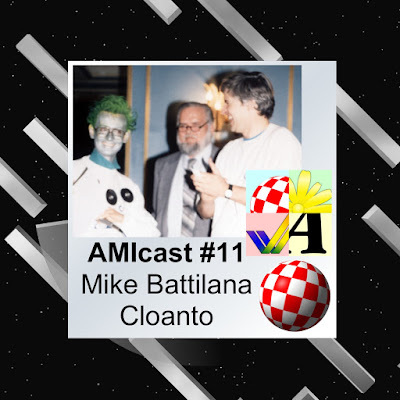 We then chat about emulation, the beginning of the Amiga Forever project (also C64 Forever). We speak about PowerPC then and now, and about emulation support for "NG" systems like AmigaOS 4.1. We also cover the possibility and challenges of an open source "Classic" AmigaOS. We comment on the FBI vs. Apple case, the ALICE project and more... It's over two hours of interview! Recorded February 25, 2016. The episode has a background music from VjDominion and at the end great song from Moby, from his album:# Final Swap (Ludum Dare #31) - #Best Boss Battle Music Ever.